Set in the late 1950’s, Mike Fyten’s Kaw Valley Railroad captures the spirit of the Kansas City Kaw Valley and Western Railroad – sometimes referred to as the Kaw Valley Lines. The prototype Kaw Valley Lines ran about 34 miles between Kansas City, MO and the Lawrence, KS area. Mike’s layout features 145 feet of mainline S Scale track, code 100, about 80% hand laid. 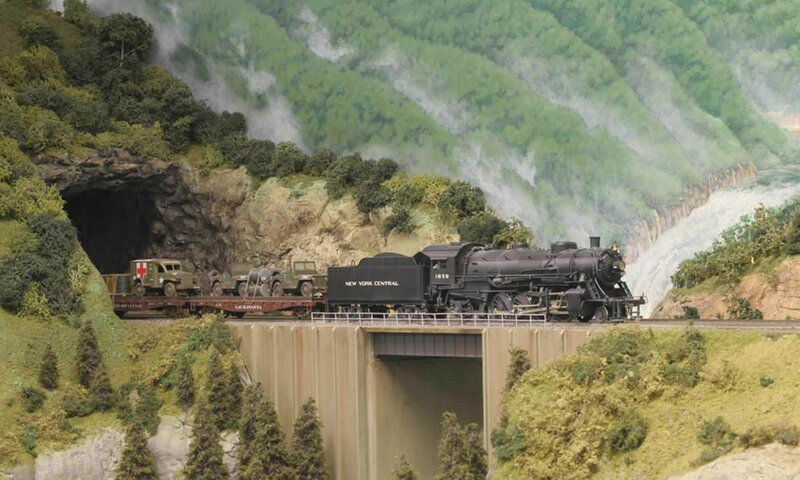 Located in the Kansas City (Shawnee, KS) area , Mike’s layout will be featured in the March 2015 S-Gaugian and will be on the layout tour for the 2015 NASG national convention in Kansas City. Photos courtesy of Mike Fyten.